None of the following require sugar, but if you feel its necessary, try dripping in some organic honey or brown sugar. None of these teas require milk or cream. 1. Lemon/Orange Peel tea: (aka “citron tea”) It’s said that most of the nutritional value in fruit comes from its outer layer, the rind. And although drying the skins of oranges and lemons for tea is common, you could chop up them up for the same purpose. Try steeping these together for a sweet, acid taste that will undoubtedly do wonders when you’re feeling under the weather. Koreans drink something called “Yuja” tea which can be purchased in marmalade jars. (See the video below) The retail version contains a lot of sugar, but has the same affect on colds, coughs, and headaches. 2. Ginger tea: Just about all supermarkets have fresh ginger root in the produce isle now. 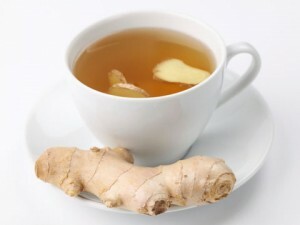 So when you decide to make ginger tea I suggest buying a smooth “finger” or two and putting them in your refrigerator. Wash them with the skin on and break of little nodes that get in the way. Watch how Sumei Yu prepares her tea in the video below. All you really need to do is slice up your ginger and boil it for a few minutes. When it’s ready you’ll strain out the tea and add honey to it if you want. 3. Turmeric tea: Turmeric root is less likely to be found in your local supermarket but you will find it at Whole Foods or similar markets. 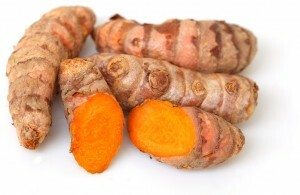 It’s normally smaller than ginger root but grows in connected “fingers.” Choose smoother ones to make cutting easier. Again, whenever possible, buy fresh root rather than powder. The less you process these natural foods, the better. Wash thoroughly and slice the turmeric into thin slices. Fill half a mug with the slices and let it sit for a few minutes. Then fill the rest of the mug with your hot water. If needed, add honey to the tea. 4. 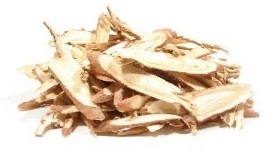 Licorice tea: Licorice root looks like sticks or chopped up wood. Just let it steep in hot water just like we did with the ginger and turmeric. It can help with stomach issues and inflammation; however, this plant can produce some side-effects if used too regularly by people prone to blood clotting or high blood pressure. * Still, if you’d like to find another flavor of natural tea that can help prevent stomach inflammation or assist with a sore throat, then licorice is an option. Throw in a tea bag of choice if you don’t find the tea strong enough for your taste. Nourishing Days has a good article about how to make Licorice tea taste better. 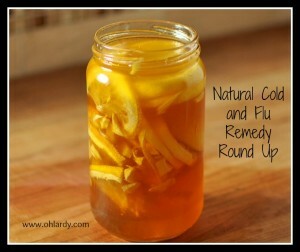 It includes orange peels, cinnamon, whole cloves, and chamomile flowers. For simplicity sake, I suggest steeping the licorice by itself and then adding your own sweetener to it. 5. Cinnamon tea: Similar to the licorice root, you might be expecting to add a little bit of powder and be done with it. But actually, it’s always better to cut out the middle man, so to speak. Buy sticks of cinnamon and wash them thoroughly. If you’d like, boil water and steep a black tea bag first. Then you put in your cinnamon sticks and let them steep together for a little while. Ah, Christmasy! The health benefits of cinnamon are similar to licorice, and as with licorice, be careful not to overdue it for too many days in a row. 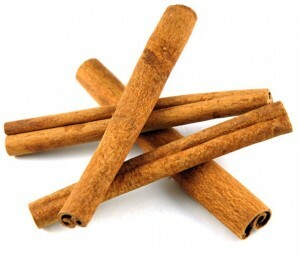 In traditional Chinese medicine, cinnamon is used to for colds, reduces flatulence, and improves circulation. Read more about the pros and cons of cinnamon consumption here.